Even cooking is a breeze with our large capacity ovens and up to four convection fans that create an optimal environment for baked goods. Our oven doors include triple-layered glass for incredible thermal insulation, while maintaining a safe, cool-to-the-touch knobs, handles and exterior window. Each door is also designed with soft-motion technology which allows it to be left open in any position along its arch, preventing slamming and providing a pleasant baking experience. Because preparing for the holidays is stressful enough on its own! Grab your apron and let’s get baking! Begin by slicing off and putting aside the top of your pumpkin. Remove the seeds and pulp from the inside. Place your pumpkin on a baking pan, with the top back on, and pour 1-2 cups of water in the pan. Bake at 350° (180-190°) for 1-1 ½ hours, depending on the size of your pumpkin. Using a fork to check, cook until tender and pumpkin falls apart. Remove from the oven, allowing It to cool slightly before cutting and removing the inside of the pumpkin. 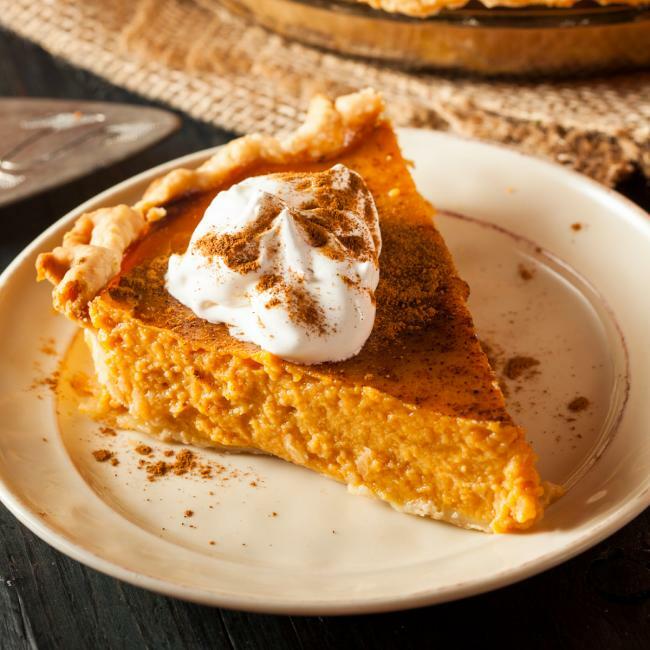 Measure 3 ½ cups of pumpkin and place aside for pie filling. Leftover, baked pumpkin can then be stored in the freezer in a freezer-safe bag for up to 6 months. In a medium bowl, combine sugar, salt, cinnamon, ginger and cloves in medium bowl. Beat eggs slightly in large bowl. Stir and add in pumpkin and sugar and spice mixture from medium bowl. Mix well, then gradually add the evaporated milk. Pour into pie crust shells and bake at 425° (220°) for 15 minutes, then lower oven temperature to 350° (180°). Bake for another 40 to 50 minutes, or use a toothpick to see if the doneness by inserting into the center of each pie and removing. If the toothpick comes out clean, remove pies from the oven. Cool on wire rack for 3 hours. Serve immediately or chill (do not freeze). Slice and serve pie topped with whipped cream and chopped pecans for added crunch! *This recipe yields 2 pies.